Sun, surf, shopping, restaurants and beachfront apartments are the perfect ingredients for the perfect Sunshine Coast holiday. 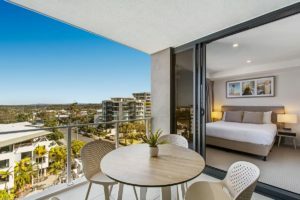 Breeze Apartments is the Mooloolaba hotel accommodation you really should book for your next holiday. Whether you’re a couple looking for a surprise getaway weekend, or a family requiring an exciting and sunny holiday destination, Breeze beachfront resort offers superb accommodation in exactly the right location. It’s all too perfect. The distinctive architecture of Breeze apartment resort features stylish and comfortable self contained one, two and three bedroom apartments with ocean views that go on forever. The superb spaces are equipped with furnishings that would be at home in any designer magazine spread. Breeze Apartments will define the gold standard of hotel accommodation in Mooloolaba forever. Our hotel resort courtyard offers guests the perfect setting for entertaining with a lovely heated pool, outdoor spa, BBQ and outdoor dining and reclining furniture. The perfect spot to enjoy Mooloolaba’s famous prawns. The seafood markets on the river foreshore, just past Underwater World Sea Life are minutes away. Here you can observe an exciting range of live ocean creatures at this world renowned sea aquarium. The range of restaurants in Mooloolaba is staggering. 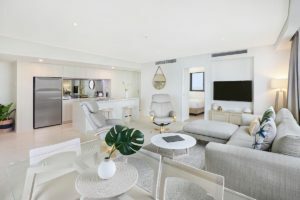 From fresh and contemporary Australian, South East Asian, to Euro kitchens, there is a place for everyone to enjoy, with waist watching not encouraged. Of course, on your days in, our fully equipped chefs kitchens and dining spaces will give you the freedom to cook up whatever you like. 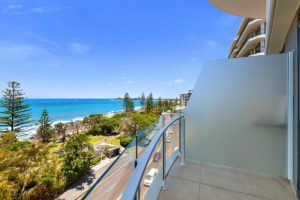 With a seemingly endless supply of Sunshine Coast to explore and Mooloolaba Beach on your front doorstep, the beach life extends from Caloundra to Noosa, with Alexandria Bay, Point Cartwright, Shelly, Mudjimba and Moffat beaches also beckoning. Carry on until you find a beach to suit your mood, whether it’s surf to ride, or a gentle cove for the kids. 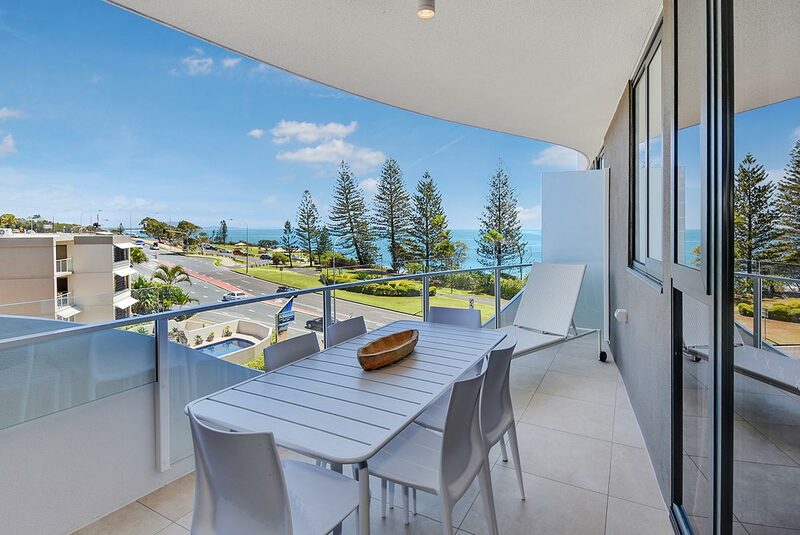 This Mooloolaba hotel accommodation is waiting for you. Can you smell the ocean breeze and the seafood barbeque wafting your way? Breeze Mooloolaba will carry you away. Book now.